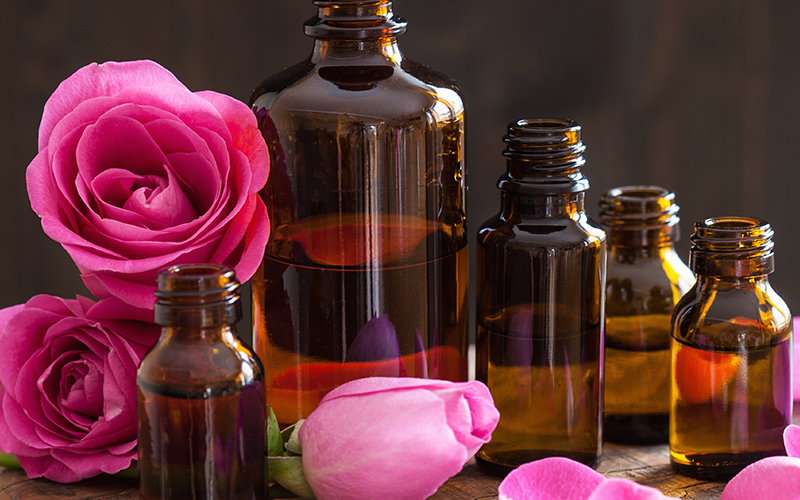 Aromatherapy is the art and science of utilizing naturally extracted aromatic essences from plants to create and maintain balance and well-being of the body, mind and spirit. Essential oils are the volatile aromatic compounds that are extracted from the roots, leaves, stems, flowers or fruits of plants or trees. They have an effect on the physical body or the emotions via the limbic system of the body. • German Chamomile (Matricaria chamomilla) has anti-inflammatory properties on the skin. • Lavender (Lavendula Officianilis and Ginger (Zingiber officinale are essential oil that are good for inflammation and swelling from joint pain. • Essential oil of myrrh (Commiphora myrrha) has anti-inflammatory and antibacterial properties and can be made into a mouth wash to help relieve inflammation of the mouth and gums caused by diseases such as gingivitis and mouth ulcers. Especially & Mindfully Created with Ingredients You Can Trust. Varenya is the Sanskrit name for excellence; this is our overall promise to you. Significantly our products are especially free of synthetic chemicals, fillers, in addition to artificial colors. They are additionally free of fragrances, phthalates, parabens, sulfates and particularly petroleum derivatives. Additionally we are also specifically vegan certified, gluten-free and especially never tested on animals. Our products specifically feature particularly powerful peptides, vitamins and antioxidants. As a result it can specifically boost the skin’s natural ability to improve cell turnover and as a result especially enhance elasticity. She is an Internationally trained Beauty Therapist, Clinical Aromatherapist, Holistic Health Practitioner and Lymphedema Therapist. She is the founder and president of Beauty Kliniek Aromatherapy Day Spa and Lymphatic Therapy Services in San Diego.